A few years ago I got a phone call from a woman I’d connected with on Twitter. She had been following my blog and the blog of my business partner, Denny Coates, and said she was very impressed with our content. She said we were the kind of people she liked to connect with. Of course, I liked her immediately! She proceeded to ask lots of questions about our focus and business, expressing genuine interest along the way. Then she told me she wanted to introduce me to a couple of people she’d recently met on LinkedIn. True to her word, she followed up afterwards with emails to me and these individuals, explaining why she thought we should know each other. She said she considered herself a “power connector” and took great joy in bringing people together. After that initial conversation, she emailed me regularly, sending articles she thought I’d be interested in and recommending associations that could lead to some positive new contacts. I was impressed. But then we lost touch for a while. Fast forward to November 17, 2014, when she was the featured guest on my favorite podcast, I Love Marketing. 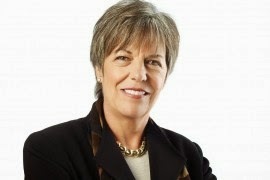 When I saw her name – JUDY ROBINETT – I made listening to that interview a top priority because I just knew it would be packed with valuable content. And it was. Judy delivered a wealth of actionable ideas, and even the hosts, Joe Polish and Dean Jackson (master connectors themselves), were taking notes. 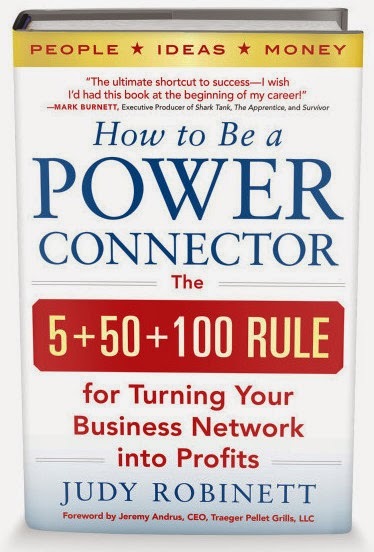 I clicked over to Amazon and ordered her book, How to Be a Power Connector: The 5+50+100 Rule for Turning Your Business Network into Profits, before the end of the interview. If she delivered this much useful information in just an hour, I was confident that much more awaited me in her book. In fact, I was astonished at the comprehensive, yet simple, system she maps out in her book. Even if you don’t aspire to be an over-the-top power connector like Judy, her book contains absolutely the best approach I’ve seen for helping you think strategically about forming alliances with others. An often-repeated theme throughout the book is to adopt a “giver” mindset. She advises you to seek first how you can add value, value, value and more value to others before asking for anything. She exemplified this approach in her initial call to me, and she’s continued refining the process ever since. In fact, her book reflects 25 years of practice and refinement. She has emerged as a true master of her system. The core idea is 5+50+100. You make a list of all your current connections and then organize the top 155 into 3 power circles. Top 5. Your innermost circle is composed of the individuals closest to you, usually close family, friends and business associates. These are people you’d trust your life with. Key 50. These are friends and associates you can call on for help or advice—and they know they can do the same with you. Vital 100. You want this group to be diverse, with a wide variety of locations and roles. 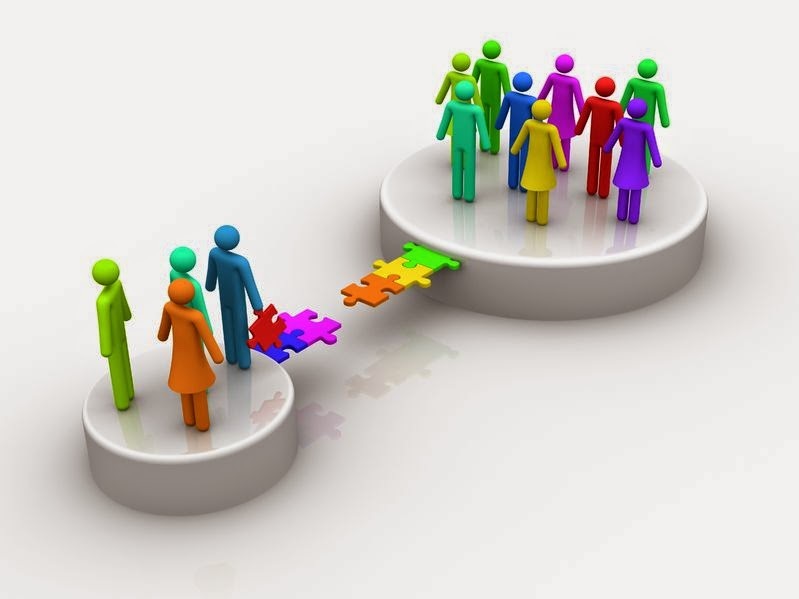 Judy provides all the details for preparing, connecting, engaging, providing value and deepening these relationships. She explains exactly how to build a robust network that’s deep, wide and diverse. Throughout the book, she provides examples of how she has implemented her own system over the years. She has ingrained these skills to the point that she automatically looks for ways to connect people with others who can help them solve their most pressing problem or need. No one operates in a vacuum. You need positive relationships to get things done, whether it’s running your own business, leading a team, or tackling a challenging project. Judy’s book teaches you how to achieve the kinds of meaningful relationships and connections that positively impact everyone involved.